1. How long have you been playing golf? 12 years, I started my senior year of highschool after I was done with football. 3. What do you love about golf? I'm super competitive! I love playing in comps as well as going out and trying to get better and competing against myself each time out. 4. What brings you to MyGolfSpy? I've been a member for close to 2 years now. I like the unbiased testing of clubs. 5. Do you already know any other Spies? Nope. I'm hoping to as I get more involved. 8. What are the best and worst things about golf in your region? The weather and the weather! If you're willing to play when its really wet you can play in the winter and you can play in August if you can brave 100+ temps I can and do play year round. Also, we have some really good courses within an hour drive that priced really well. 10. How’d you pick your user name? It's an username I use alot. I’m just up the road in Monroe. I’ve really enjoyed Links when I’ve played there. Hi. I'm a new member today and excited about it. I've been playing about 4.5 years. It wasn't until after I raised my family that I had extra time to join my husband and son in golf. Initially I participated a series of free ladies clinics to learn more about the game so I would be better prepared to help a couple of clients (I own an advertising and design agency). In the process I found I really liked golf. I surprised my husband when I played in my first tournament with borrowed clubs only 1 week after completing the clinics. 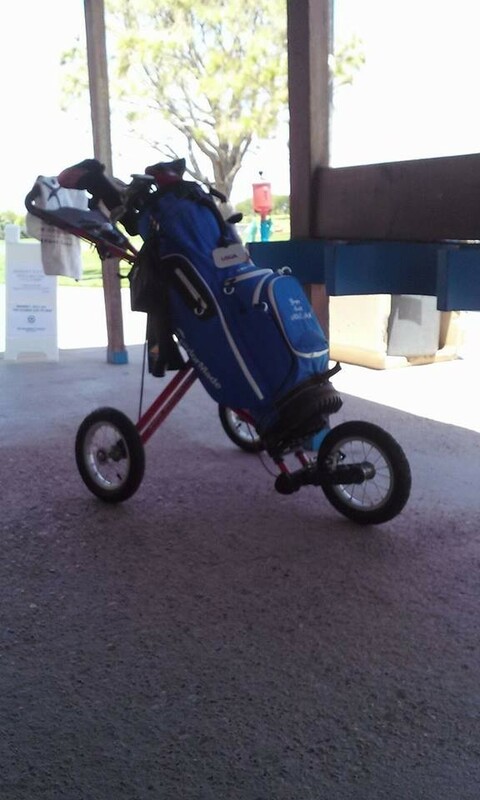 I was invited to play in second tournament 2 weeks later and remember taking the shrink wrap off my clubs as we played. I was definitely hooked. I enjoy being outdoors and live at our home course so golf was a natural fit for another activity I could enjoy with my family. Besides just playing, I love watching nature around the course, camaraderie with new friends, and practicing (what I call research into what works/doesn't plus learning new things). I get bored playing the same course so we enjoy experiencing other venues - close by and traveling to get there. My current GHIN is 25.5. Each milestone seems to push me to the next. I'm challenged that golf did not come easy but keep slowly improving. 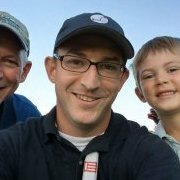 My son suggested that I join MyGolfSpy as a way to explore and learn more. I'm ready to try some new clubs but not sure what. I want to read interesting and informative reviews by others. Our home course is The Club at Colony Creek in Victoria, Texas. I like to play in all kinds of weather, except lightning. I even think it's cool to look at how raindrops fall down around my club and hit the ground. South Texas summer temperatures can be quite brutal on our bodies and the grass. Early morning and late evening golf is great. My user name is a reflection of me. I'm a graphic artist who now plays golf. I seem to doodle on everything around me including my golf balls. Currently my balls sport 2 large angel wings. I find that my balls are easy to identify since the drawings wrap part of the way around the ball. I was just in Victoria this week!!! Wow! I played a public course there, Riverside, and enjoyed it. I felt like I was in the middle of nowhere Texas, though. I was there working with an ophthalmologist in surgery. I live in Houston Texas where we can usually play golf year round! I've played golf since junior high. Never been very good but very passionate about the game, if I didn't have a family and a job maybe I could be better . But do play a couple times a week locally and belong to Bay Forest Golf Club. I'm currently a 17 handicap. We've had an incredibly wet winter season and has been hard to get much practice in this year but spring is now upon us and I'm ready to get some work in to lower my handicap. 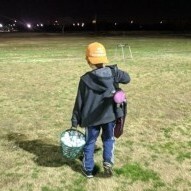 I'm a Veterinarian and I live with my wife (she's a golfer and has a hole in one...I don't ) and my 11 year old daughter ( she's starting to take golf a little more seriously ). I'm originally from Tulsa Oklahoma but I've lived in Houston now for 12 years. I play Bay Forest, Timber Creek, Wild Cat, Eagle Pointe and Southwyck golf courses the most. All are very respectable public courses. I’m in Houston in 2 weeks and will be looking to play after work each day. I didn’t care for Wildcat as it wasn’t in good condition, too many hidden tee shots, and overpriced for what the conditions were, so if there’s anything else near the Medical Center that’s good, let me know. I’ve played 9 a few times at Hermann Park. LOL. Largest little town in the middle of nowhere "South" Texas! West Texas is even more nowhere. Did fly in or drive? I like Riverside. It is a relaxing nature course. I hope at least part of the Riverside deer herd was out to greet you. Being in the river bottom it floods at least once a year. And often seems to be the greenest of our 3 courses. I drove-in from San Antonio. Yep, the deer were everywhere!!! Lots of hoof prints on the greens. Yep, the deer were everywhere!!! Lots of hoof prints on the greens. All of the deer in Riverside Park are protected and allowed to roam where they please. Their home turf trumps our playground and they are not afraid of us. I've even had to wait for one to be coaxed to vacate a green so we could continue play. Nice pics!! Marty Sanchez? Towa? It's been awhile since I was in NM. Headed to Hattiesburg tomorrow, planning on playing Wednesday after work. What are the best and worst things about golf in your region? I think ABQ is an underrated Golf community, we have great city courses and resort clubs at the right price, and our weather is better than PHX. How’d you pick your user name? a play off my city and first name. I recently picked up golf as a hobby and have really fell in love with the game. I'm still learning but it's fun. I have always like this site, with the labs and reviews, and thought I'd join up. From the heart of Texas, home course is in Brownwood, Texas. Golf in my region is very firm course conditions and speedy greens. Full time husband and dad of two, I have a job too but it's not as good as being as a father. Just thought it up spur of the moment. Hello everyone, nice to meet some fellow golfers! Still trying to figure my way through the forums and specifics of the site, but doing my best! Any tips you can lend me would be greatly appreciated. Got mostly an open face through contact with the golf ball, don't know how to fix it. Thanks. 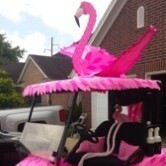 Welcome from a neighbor next door in Louisiana!!! What do you love about golf? Being outside, competing, being with family, and the thrill of hitting a great shot. Grew up playing with my parents. They are almost 70 now and still play together several times a week. Looking forward to playing with my kids the same way. What brings you to MyGolfSpy? Do you already know any other Spies? I follow several of the guys on Twitter, I'm obsessed with the game, and this seems to be an interesting forum. What are the best and worst things about golf in your region? Best is tons of options. Still more courses that I haven't played than have played. Worst- Most courses are a good 20 minutes away from me, and several of them are cart only and not walkable. MGS New Member Introduction: South Central Region! What do you love about golf? What's not to love?? How’d you pick your user name. Wife gave it to me... MrYeahBut.. Go figure. Any of you not hit past the ladies tees??? See pic below. 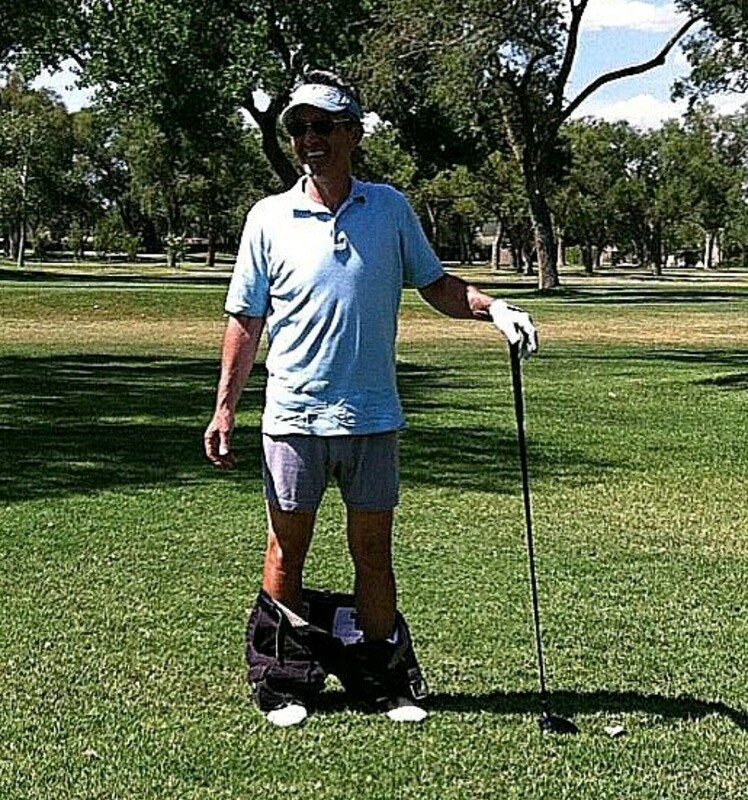 I’ve been “playing” golf for probably close to 30 years. My grandmother introduced me to the game when I was a child. Currently I’m averaging 85 or so per 18 (I have never kept up with my handicap). I love that it’s a way to stay connected with family and that it’s a sport you can continue to play as you get older. I came across this site while reading club reviews. I do not know anyone on here. Just recently moved to Conway Arkansas. So far I have not joined a golf course. The best has to be the number of courses in the area and the worst has to be the humidity. ﻿ It’s part of my name.